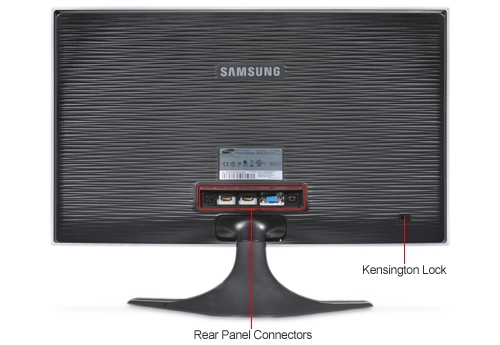 Samsung monitors are built to last and our my purchases of Samsung monitors or TV have never failed my expectations. 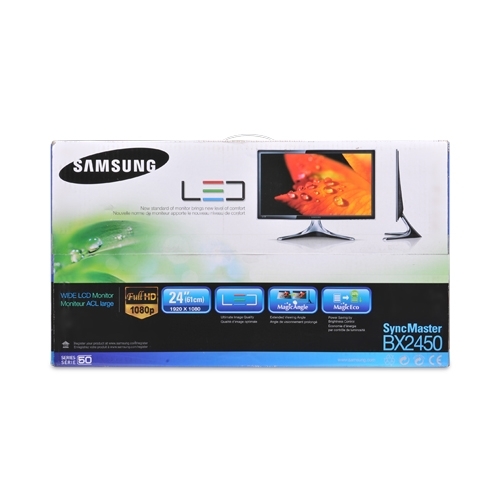 Likewise for this new purchase – Samsung LED 24″ monitor (BX2450) – is sleek and colors are vibrant. Setup is easy, done within minutes. Even after an hour of usage, the monitor still feels cool which suggests minimum heat dissipation and thus likelihood of better energy savings. It comes with default HDMI>DVI, HDMI>VGA cables. Under current promotion in SIngapore, I get an additional 320GB HDD, HDMI>HDMI cable and DVI>DVI cable with 3 years warranty. Ultra slim and stylish with an elegant V-type stand, this 24″ widescreen LCD monitor features LED backlight to yield a brighter screen with less energy, cutting power consumption by 40% compared to conventional CCFL monitors.The BX2450 has a native 1920×1080 resolution with HDMI connectivity, 2ms response time and mega dynamic contrast ratio for incredibly detailed pictures. A full suite of Samsung’s Magic Technologies works in the background to maximize your viewing experience. The MagicBright 3 automatically optimizes brightness, contrast and gamma correction, based on the mode you choose. MagicAngle lets everyone view crisp images from just about every angle. So, hook the stylishly thin BX2450 into your system and enjoy the best for work and play. LED BACKLIGHT TECHNOLOGYFeaturing the LED backlight technology, the Samsung BX2450 provides increased brightness, enhanced color saturation with less power consumption, and is more eco-friendly to the environment containing no halogen, mercury or lead, compared with a typical CCFL backlight. 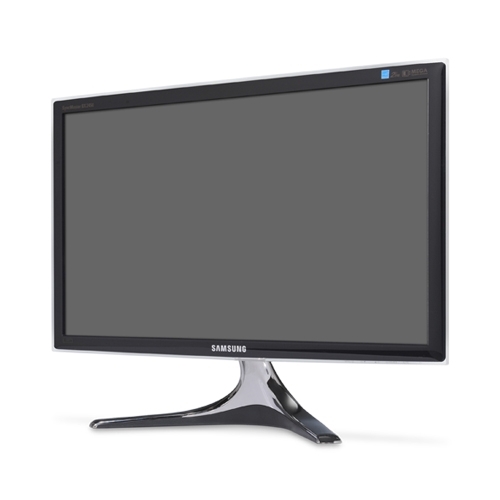 BREAKTHROUGH PICTURE QUALITYThe Samsung BX2450’s amazing mega dynamic contrast ratio ensures accurate color reproduction and sharp images even when displaying darker scenes and images. Partnered with a response time of only 2ms, images are clearer, more vivid for more fluid video playback and game performance. HDMI MULTIMEDIA HUBThe Samsung BX2450 features two HDMI ports to connect a broad selection of HD-capable video devices and gaming consoles, making the monitor a multimedia centerpiece. MAGICANGLESamsung’s MagicAngle uses 5-step angle management to deliver crisp images and bold color from every direction. So whether your view is from above, below or from the side, images stay the same. MAGICECOMagicEco allows you to work at 100%, 75% or 50% brightness, to reduce energy usage and energy bills even further. SAMSUNG MAGICBRIGHT 3Samsung MagicBright 3 provides an optimized viewing environment based on the images being displayed with 7 viewing modes: Text, Internet, Game, Sport, Movie, Dynamic Contrast and Customized. With the pre-configured Brightness, Gamma and Contrast in each mode, viewing modes can be selected simply for the best experience. How much did you pay for that and where did you buy it? Funan? Simlim? Looks great. I am thinking to get one from 2011 IT Show but not this model. Different model but also a 24 inch. Got mine for $430. But you can get it below $400 at IT Show 2011! Definitely a good catch! 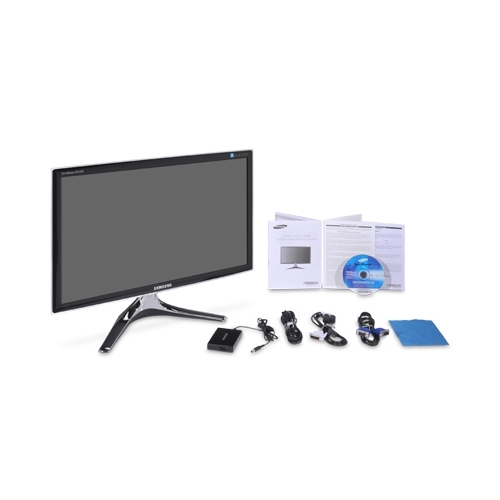 S24A350H 24 inch led monitor with $338. This model is new and haven’t sold outside yet according to them. And at IT show this model was sold out and needed to pre-order. Most of the led models are sold out.